New York-based SideTour has raised a new Series A-1 round of funding worth $2.5 million, pandodaily reported. The round came from existing investors RRE Ventures and Foundry Capital, said CEO Vipin Goyal. According to an SEC filing, there is still room for an additional $500,000 in the round. SideTour is a marketplace where you can buy experiences you can’t find anywhere else, like discuss your path in life with a banker turned monk, enjoy a fireworks display on a private yacht or earn some street cred by learning graffiti art. Hosts set the prices of their experiences, and SideTour, which curates the offerings, takes a 20% fee on completed transactions. 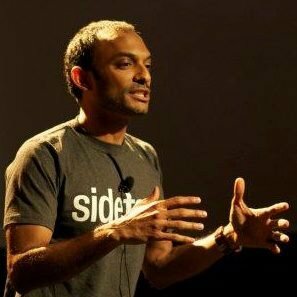 In the last year, SideTour has expanded to Chicago, Washington DC, and Philadelphia, and launched SideTour for Companies to accommodate corporate events. Airbnb, Foursquare, Etsy and Yelp are among their corporate clients.